It's now as easy as singing your ABC’s to remove an background image! Fotor’s background remover and background eraser generates a transparent background with just a few clicks. Fotor’s background cleaner provides a simple and straightforward process to remove your background images all on our website. This background remover can complete this process quickly and easily. Fotor’s online background remover separates your subject from its background with almost no effort on your part! How does Fotor’s background remover work? The background cleaner extracts objects and removes the background from your images. All you need to do is mark the areas you want to clean, and the areas you wish to extract. The program does the rest. Once you’ve created your transparent background, you can use Fotor’s editing and design features to change the background to your liking. Open Fotor‘s background remover Magic Clipper and the image you want to modify. Use the green “Retain Brush” to mark the parts you want to retain, and use the red “Removal Brush” to mark the parts you wish to remove. Click “Press” to preview, and make your final adjustments. Click “Save” and select a format for your image. No matter how complex your background might be, if you want to clean it up, Fotor’s background remover is undoubtedly your best choice. 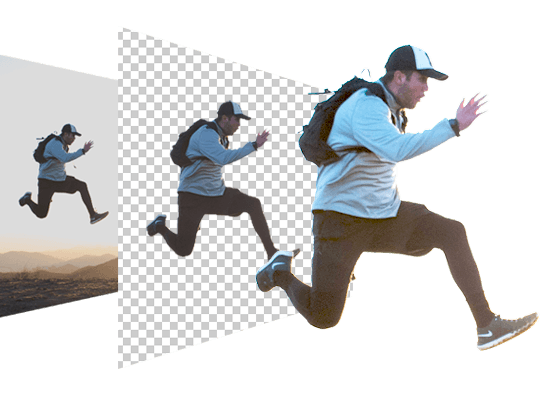 Removing an image background has never been easier or quicker! Try Fotor’s background remover now!